On a nasty stormy day, what could be more fun than seeing who else in Colorado is enjoying the same fate? With the new flyingcracker Colorado webcam collection now you can! 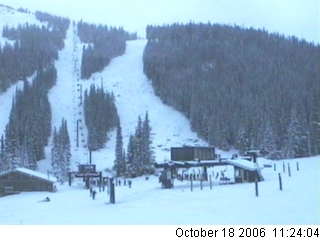 We have added a new page with webcam images from all around Colorado. You can see horizons, vistas, and skylines. You can watch street traffic, pedestrian traffic, and traffic speeds in Metro Denver. You can see near-real-time weather, ski area mountain snow, and much more. To view the list of webcams, click on the "WebCams" link at the top of any page. The list of webcams is on the left side, grouped by area and type. There are LOTS of webcams so be sure to scroll down to see them all. Click on any name of interest to see the webcam image. If you know of a good webcam we don't have on the list please send us an email: webcams at flyingcracker.com. Thanks! 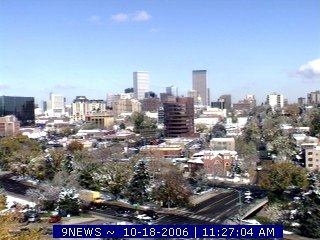 NOTE: Some of these webcams are not "live" - meaning they might have slightly delayed images. Others are only active during certain periods of the year. For instance, some ski resorts only show images of their mountain during winter. Some web cams display images 24 hours a day so at nighttime they may be completely black. If a webcam appears to display an image you think is not correct, click on your browsers "Refresh" button.